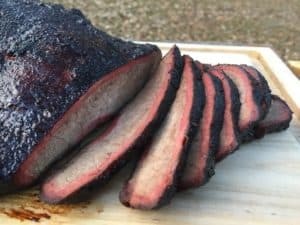 If you are looking for a high quality Texas style smoker for under $1,000 then the Old Country BBQ Pits are a line that you need see. 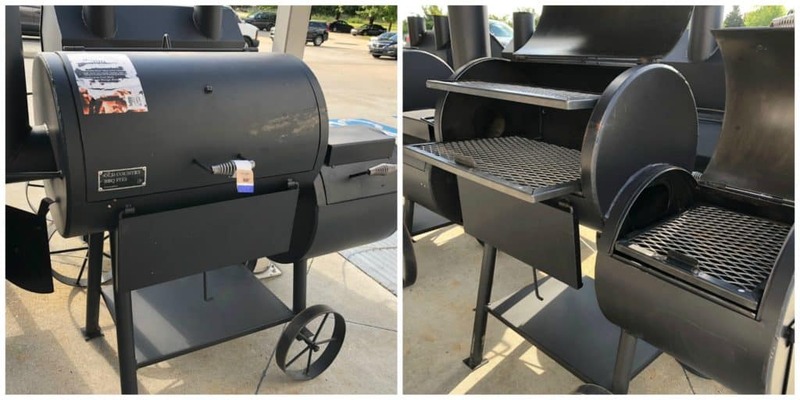 The Old Country smokers (sold primarily through Academy Sports) are a step up from the Oklahoma Joe smokers in terms of build quality and design. These smokers are made of 1/4 inch thick plate steel and feature welded construction to minimize air leaks. They have large capacity slide out cook trays made from expanded metal. More impressive is that these smokers are so well designed that, with just a little tinkering, you can get excellent heat distribution. Despite having better build quality and design features these smokers are only slightly more expensive than the Oklahoma Joe products. The Pecos is the most popular Old School smoker followed closely by the Wrangler. Let’s take a look at those two models in addition to the Over and Under, Vertical and Cantina XXL. 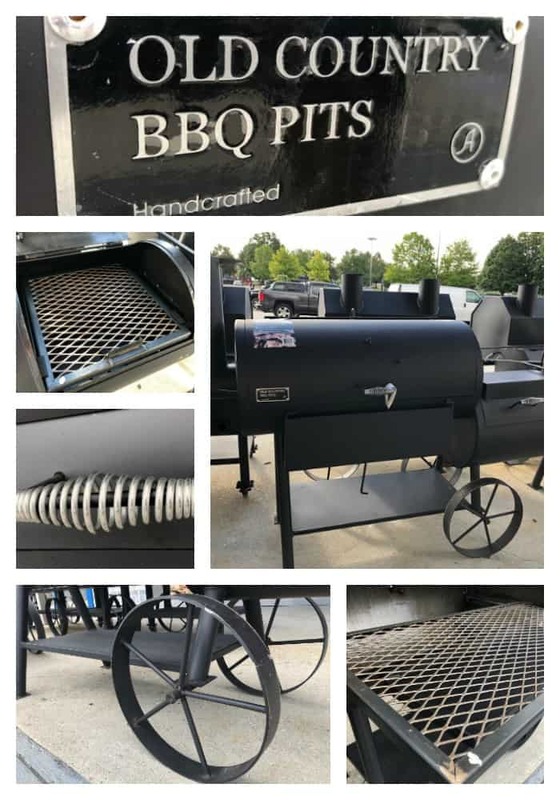 The Pecos is a traditional offset smoker with a single slide out cooking grate that has 630 square inches of space for plenty of briskets and ribs. The Pecos comes with two simple design features that make it an immediate improvement over Oklahoma Joe. 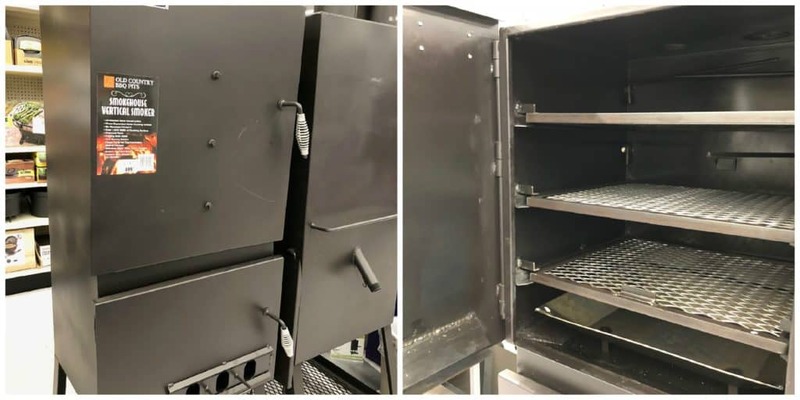 The main smoking chamber has a heat baffle to help the heat and smoke more evenly flow through the cooker and the outlet air vent is placed at grate level. Here is a simple modification to make the heat distribution even better. 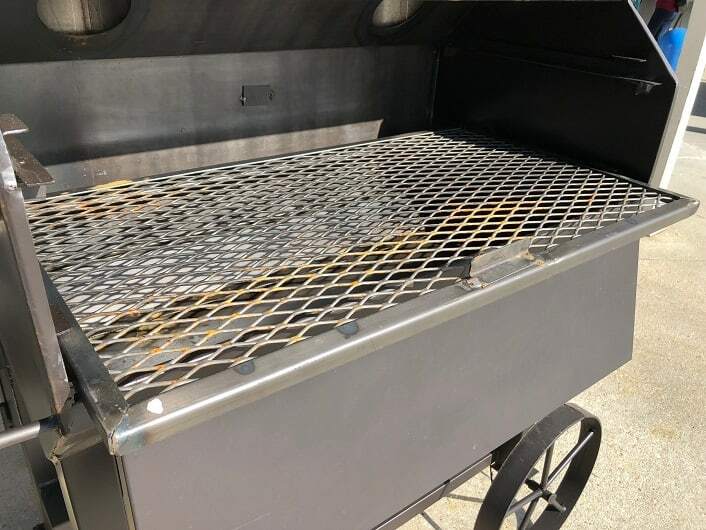 The offset firebox has an expanded metal cooking grate and a slotted steel tray to hold the charcoal. You can take out the slotted steel tray and place it inside the main cooking chamber by the heat baffle as use it as a tuning plate. You then take the expanded metal cooking grate and drop it down in the firebox for use as the charcoal tray. Between the heat baffle, outlet vent placement and tuning plate you have a pretty well designed smoker right out of the box! Here is a nice video walk through of the Pecos. The Wrangler is extremely similar to the Pecos with just enough differences to make the decision difficult. The Wrangler has a smaller footprint than the Pecos with a length of 56 inches compared to 72 for the Pecos. Despite being a more compact smoker the Wrangler has more 46% more cooking space (920 square inches) since it has dual sliding cooking trays. 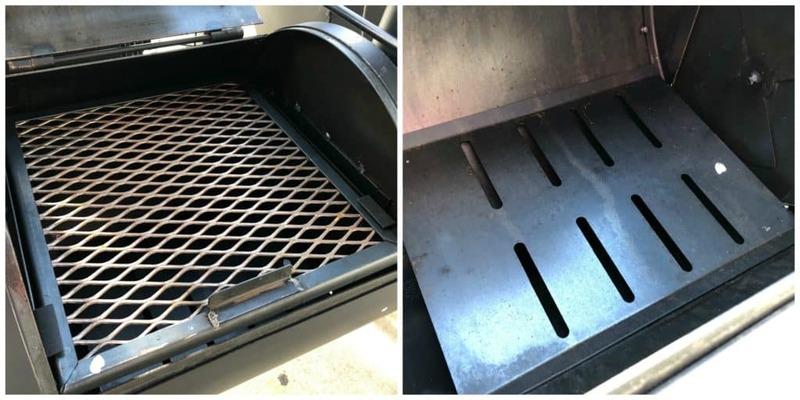 One thing to keep in mind about the extra space is that the top rack is great for ribs but since it is close to the lid you won’t be using it for butts or briskets. You can use the same charcoal tray/tuning plate trick with the Wrangler that I sowed you for the Pecos. Another subtle difference between the two models is that the Wrangler is made of thicker steel than the Pecos. The Wrangler is made of 11 gauge steel and the door uses 3/16 inch steel. The Pecos is made of 14 gauge steel and the door uses 11 gauge. Here is a video walk through of the Wrangler. The Over and Under is an heavy duty version of a stacked double barrel drum smoker. The cooking chamber is “Over” and the fire box is “Under”. The two sections are separated by a steel baffle with ventilation holes. Here is a video walk through of this smoker. There is an extremely clever design feature on this smoker. 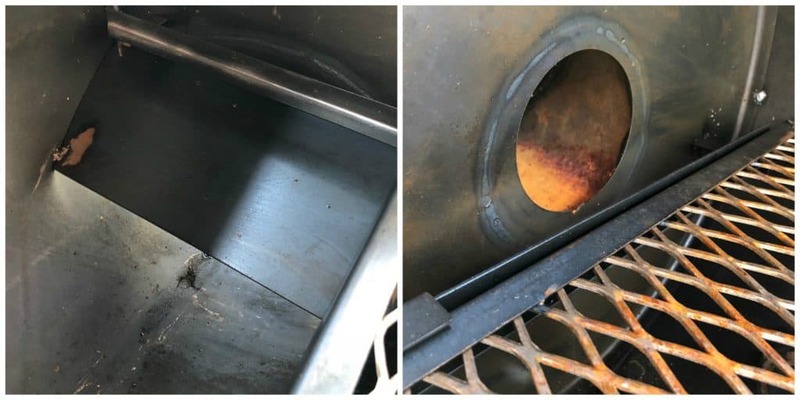 The main cooking chamber comes with a single cooking grate that has 672 square inches of space and there is a 517 square inch grate over the fire box that can be used for grilling. 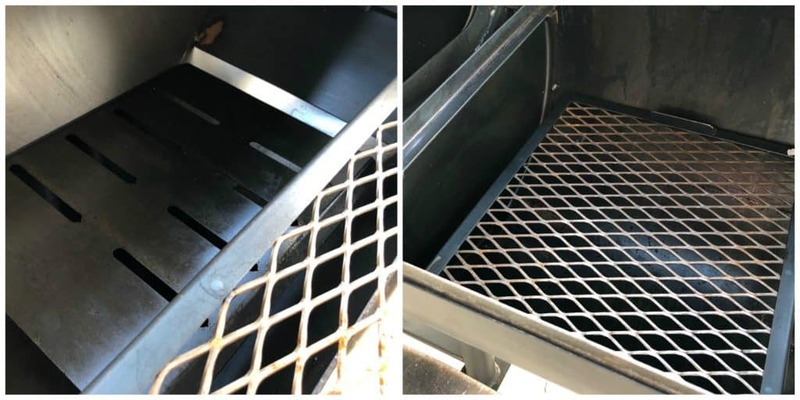 The nice feature is that the main cooking chamber has a set of slots that allow you to move the grilling grate into the main chamber for a serious capacity upgrade. Here is a look at the cooker smoking a brisket, two pork butts and three slabs of ribs. The Vertical Smoker has three slide out cooking trays that over 1,200 square inches of space along with six sausage hangers. The smoker has a separate fire box at the base of the smoker and dual smoke stacks. Here is a quick video showing the vertical smoker in action. Last up is the Cantina XXL dual grate charcoal grill. Although this is called a grill it is large enough to use as a smoker by having a small fire on one end and your meat on the other. If you do decide to use this as a smoker it is easy to add more fuel during the cook through the side access door. Here is a video for a better look at this beauty. The company that makes these smokers was founded in 1955 and is based in Laredo, Texas. The manufacturing facility for their smokers is directly across the border in Mexico. 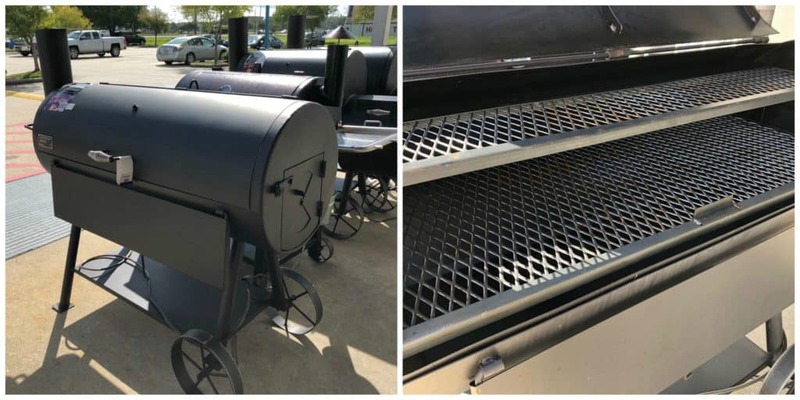 These smokers had a little bit of fame when they were used in the BBQ with Franklin brisket videos. None of the smokers come with lid thermometer although several of them do have pre-drilled holes to accept one. Here is the video where Aaron shows you how to install a thermometer and season the pit. If you are interested in one of these cookers then I suggest that you head down to your local Academy and check them out in person instead of buying one online. You ought to inspect the welds and make sure all of your grates and charcoal holders are present. If you read the online reviews for these smokers on the Academy website you will see that people either love or hate these products. Most of the complaints are the same ones that you see for any offset stick burner. It takes a while to learn how to dial in smokers like these and once you do you still have to tend the fire etc. Large offsets are not great smokers for beginners but if you are in the market for one then give this brand a look. Simple design with heavy duty construction make a long lasting pit if you look after them and keep them out of the rain. Do they still make the Wrangler? Jerry, the only place I have ever found a cover for these pits is at Academy. I suspect you have already checked there but I am not seeing any in stock at their website. I’ll shoot you a note if I find one. Any idea where I can find the hitch carrier? I sure don’t but will leave this posted in case anyone else does. Where, what city, company are the old smokers made? The company is based in Laredo, Texas. My understanding is that the smokers are fabricated in a shop just across the border in Mexico.